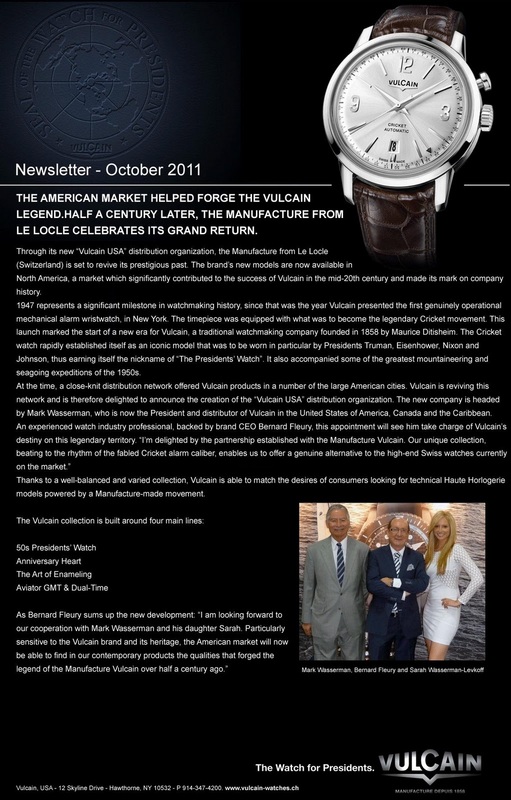 Le Locle, Switzerland based Vulcain enjoyed significant success in the US in past decades. In 1947 Vulcain presented the world’s first genuinely operational alarm wristwatch in New York. The watch went on to be worn by President’s Truman, Eisenhower, Nixon and Johnson and became known as the President’s Watch. The same watch also accompanied some notable mountaineering and seagoing expeditions in the 1950s. 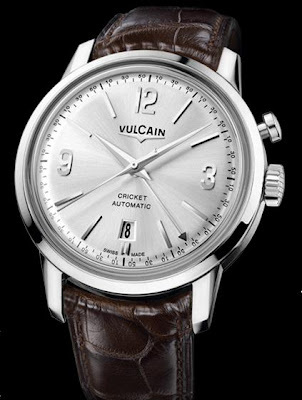 In the 50s Vulcain enjoyed a vibrant retail network distributing and promoting Vulcain Watches. The plan is to revive the network and create a new Vulcain USA distribution organisation. Mark Wasserman, who is now the President of Vulcain Watches in the USA, Canada and the Caribbean will head the new network backed by brand CEO Bernard Fleury.